Tiffany Turner, Adrift Hotels, Inc. The Aug. 7 primary election is just around the corner. Do you know who the Washington Hospitality Association endorsed candidates are in your area? Click here to find out! Send Us Your Comments About the Food Code! Starting mid-July, the Washington State Department of Health is seeking public comments on the current food code and will be accepting them through August. Samantha Louderback, Government Affairs Manager, sits on the Food Safety Advisory Council as the Hospitality representative and is looking for input. Do you have comments or suggestions on the food code? For more information, contact Samantha Louderback. Proposed fee increases for 2019 are much higher than normal from Clark County Public Health. Annual permit fees for businesses that sell food, including grocery stores, restaurants serving pre-cooked meats and full-service restaurants, are proposed to increase 34-49 percent. Your Washington Hospitality Association Local Government Affairs team is working with the county to find solutions and alternative ways to support the county funds while reducing the steep increase in fees. For more information, contact Joe Bushnell. 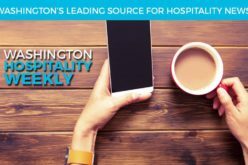 Washington Hospitality Magazine’s July issue is now online. This is our technology issue. Read it here. The Spokane Chapter of the Washington Hospitality Association and the Spokane Hotel Motel Association will not hold meetings in July. The Spokane Chapter will next meet in August, and the Hotel Motel Association will resume their meetings in September. For more information, visit the Spokane Hospitality website. Don’t miss this great video recap of the news you need to know. This week’s topics include tip pooling and disposable straws and utensils in Seattle. Peyrassol Cafe and Copperworks Distilling – Listen Online! Don’t miss this week’s DineNW radio show, now online. Andy Cook and Paul Schlienz kick off the show with Sachia Tinsley, owner of Renton’s Peyrassol Cafe. Andy and Paul then interview Jeff Kanof, vice president of Seattle’s Copperworks Distilling.